S&F vibrating conveyors are used in the wood industry (sawmills and biomass power plants) and in other sectors for in-house material transport. Vibrating conveyors and vibratory conveyors with a crankshaft drive are suited for the horizontal feeding of wood chippers or as discharge conveyors. Optionally, a screening zone can be integrated. This makes it possible to separate into different size classes within the conveyor path. Advantages are the gentle conveying of product, the solid and robust design and the long, low-maintenance service life. 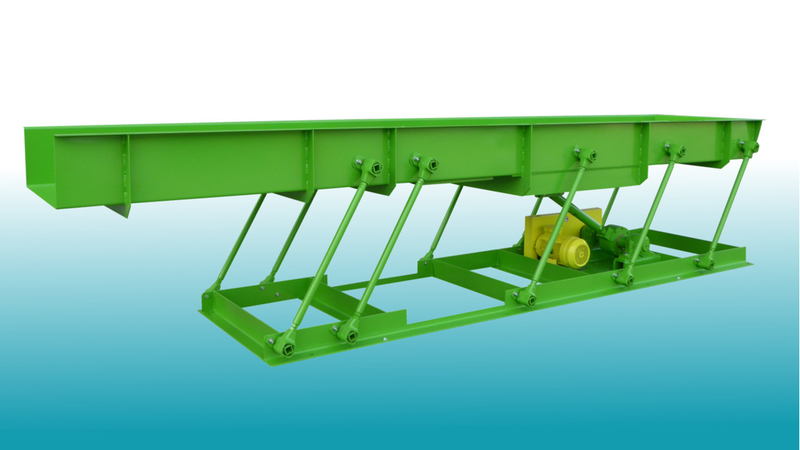 AVR-series vibrating conveyors are available in various widths (400-1,500 mm) and lengths (max. 20 m depending on size) and enable material-dependent conveying capacities of up to 150 m³/h.